On Instagram this week to celebrate my new Kuvings juicer from Alkaline World I decided to do a trial of a week of daily juice recipes! 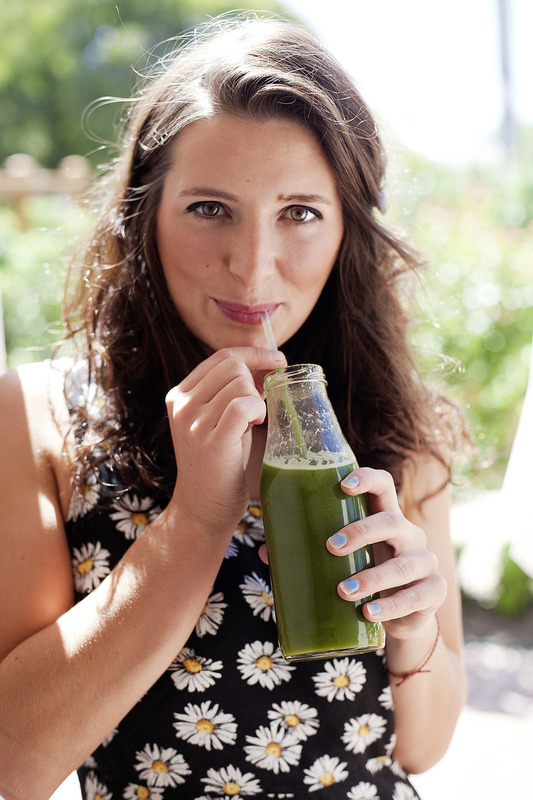 You can check out my Instagram here to see the delicious juice recipes and photos! 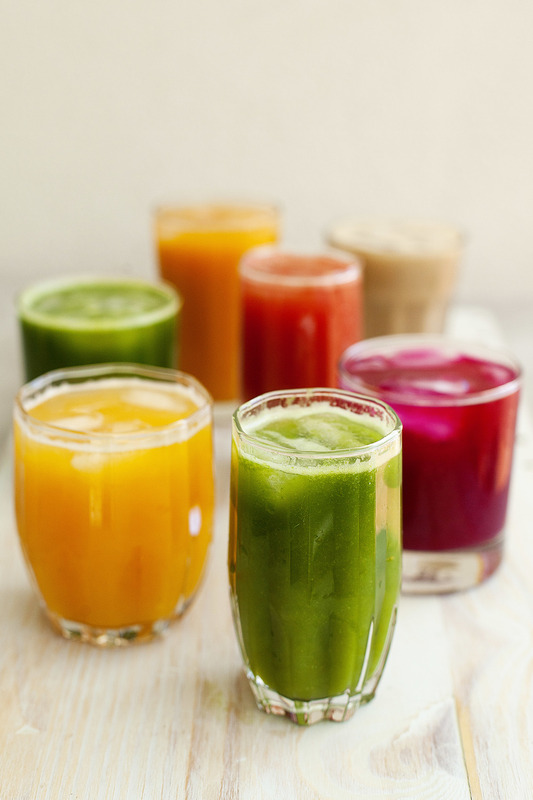 I landed on a Kuvings juicer after doing a lot of research in various cold press juicers. Before my Kuvings Wide Mouth juicer I had a Breville standard juicer. Don't get me wrong, the Breville saw me through many years, but I knew nutritionally I could be getting more from my fruit and vegetables. 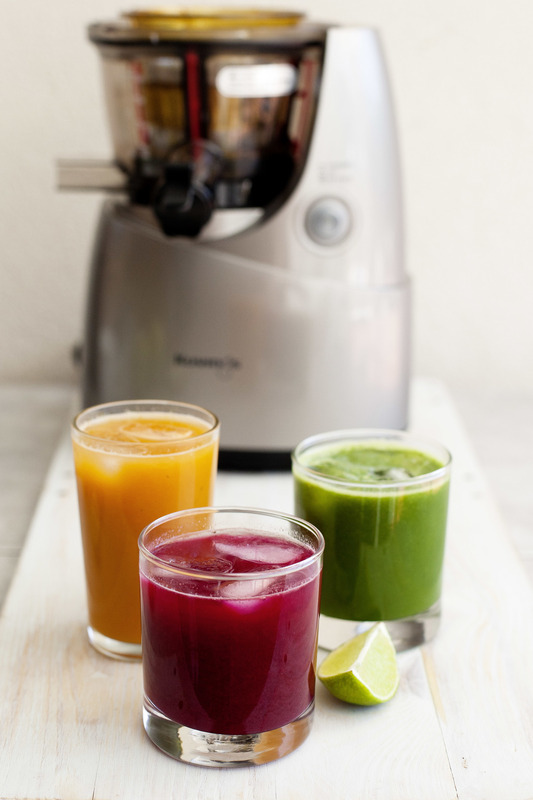 The Kuvings juicer is a silent juicer, it's got an extremely powerful motor and it works like an absolute dream (plus it's super easy to clean!!!). From my first juice made in this machine I fell in love. It really is the best kitchen investment. I can throw in anything from my garden or from the markets and it juices so easily. I don't have to worry about blades destroying any of the nutrition of the food as it's all pressed not chopped! I have also found since using this juicer compared to my old juicer I am getting more from my fruit and vegetables in terms of the yield of juice. The pulp is also a lot dryer and I am getting a lot less than the waste I was getting from the other juicer. I have been using the pulp in my cooking to still get the fibre from the fruits and vegetables and it's working so well! Throw it in muffins, burger patties, stir frys or whatever you fancy!! It's perfect!! The amazing thing about this juicer is you can also make nut milks with it, and you can even juice bananas and avocados (MIND BLOWN!!!). At the moment if you go to Alkaline World where I got my juicer from, they have said they will throw in something extra for you and give you some extra love if you tell them that Kate from Kenko sent you! So if it will push you over the edge why not get some extra loving! When I met Richard from Alkaline World I couldn't believe what a beautiful human he was. So inspiring and passionate about healthy food. This man really is amazing so if you ever get to deal with Richard or find yourself crossing paths with him you are very lucky! I love juicing. My skin glows, you get to pack in nutrients and it's just a delicious snack to have on the go. This week I have felt a lot better. Putting on the juicer first thing in the morning to make up some sort of concoction to give my family and for me to enjoy. It then gets turned on again in the middle of the day, and in the afternoon as a pick me up. I just love them and the combinations and flavours are endless! My Kuvings Wide Mouth juicer, AKA the best thing I own. So here goes my Week #1 of Daily Juice recipes! I hope you guys enjoy these combinations as much as I did this week! Feed mango cheeks, oranges, pineapple, mint and lime through your juicer. Mix in the lucuma and coconut water and serve over ice! Whiz all ingredients in a high speed blender and enjoy! Any left overs keep in a glass bottle in the fridge to enjoy later!